Do you have young children? These are Must-Haves! 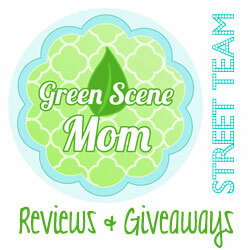 You are here: Home / Featured Products of the Week / Do you have young children? 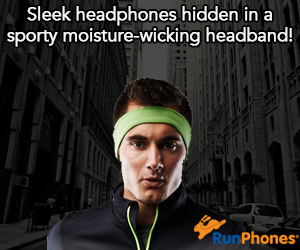 These are Must-Haves! 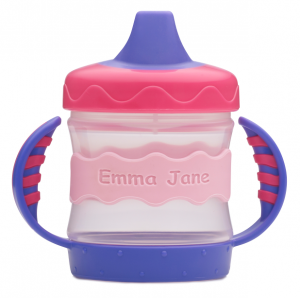 Looking for some great gift ideas for younger children? Here are some of our favorites and since it is early in the holiday season, you can order now and have them for the upcoming holidays! This is just the cutest kit! I gave this to my niece and she just loves it! Her BTFF sits on her bed every day! This gives a very special meaning to the Tooth Fairy! 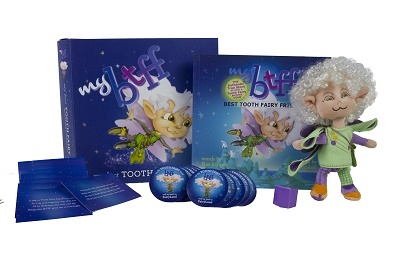 My Best Tooth Fairy Friend, or BTFF for short, is soon to be a much-loved lifetime companion for kids and a captivating way for parents to be involved in one of their child’s most memorable experiences. BTFF is a spunky, lovable companion for children who are about to lose a tooth. Inside the gift box is everything parents need to create a lifetime of memories. It’s easy and fun for the whole family! This adorable and naughty character was dreamed up by three parents and encourages children to use their imagination. The gift set comes complete with a handmade BTFF doll, a beautifully illustrated book, tooth vessel, keepsake notecards and sticker badges. BTFF magically appears at the first sign of a wiggly tooth and stays until the tooth comes out. When the tooth falls out, My BTFF takes it back to Tooth Fairy Land, leaving behind special notes and stickers. My BTFF comes back at the next sign of a loose tooth. Children get to name their BTFF, and unlike other magical characters, they are encouraged to touch them! Gift set available online at www.mybtff.com; $34.99. Great ideas and activities are available on the website’s blog. I wish this one had been available when my son was a baby! Your Life in Letters is just precious! I remember than I made my own journal for my son and I write in it on his birthday every year. But, this is so much more! 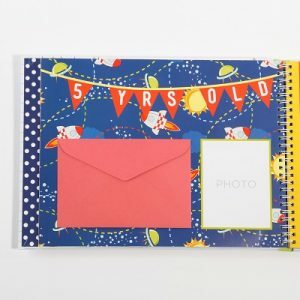 I love that you can add pictures and it is perfect for ages 1-18. The perfect gift for a new little one, “Your Life in Letters” is a beautiful keepsake collection of once-a-year letters written to your child from ages one through 18. 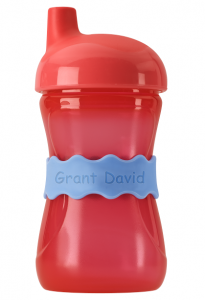 Share hilarious moments, special memories and document your child’s milestones as they grow. No need to keep up with the monthly baby book, “Your Life in Letters” will be a gift your child will never forget at their high school graduation, on their wedding day or even the day they have a child of their own. Available in a boy and girl version at Nordstrom stores nationwide, Target.com, BuyBuyBaby.com, BedBathandBeyond.com. 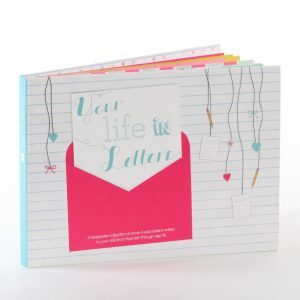 www.yourlifeinletters.com; $29.99. I just love these! They are helpful and really cute too! These labels are really handy! Self Disclosure: I received free samples to facilitate this post. Photos and info were provided but I highly recommend all the above products!